Dr. Siems always wanted to to be a doctor, but found human medicine and hospitals unwelcoming. So she decided to follow in hr dads foot steps and become a veterinarian. She graduated from WSU in 1998. She finds creating lasting relationships with clients and their pets most rewarding. Dr. Siems has a special interest in surgery, especially orthopedics. Her goal with every patient is to understand the clients concerns for their pet and offer compassionate care options that address these concerns. Dr. Siems is working toward Fear Free Certification and loves the way the patients respond in a positive way. 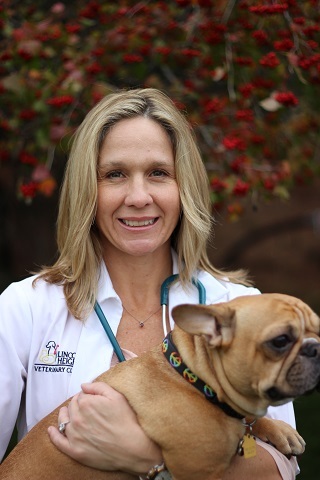 Dr. Siems family consists of her husband Jeff, daughter Sophie, French Bulldog 'GiGi', and horses, ponies, chickens, and 'Rosebush' our cat. Dr. Siems maintains the faith that things work out for the best, the way they were intended. She believes this is an optimistic outlook to live by. Dr. Melanie Bowden has a background in international relations. She lived in South Africa for a year working for not-for-profits on One Health initiatives looking at how animal, environmental, and human health all effect each other. It was this experience that showed her the beauty of the human-animal bond and interdependence on the animals in our lives. No matter if it was for food, work, or companionship, each animal was highly valued, loved, and cared for and each human received spiritual and physical nourishment. When she returned to the states she knew she wanted to be a veterinarian and applied for vet school. While in veterinary school, she was really drawn towards small animal and hobby farm medicine. Melanie graduated from WSU in 2016. She feels so privileged to help preserve, protect, and deepen the human-animal bond found between each pet parent and their pet. Dr. Bowden has a special interest in behavior. 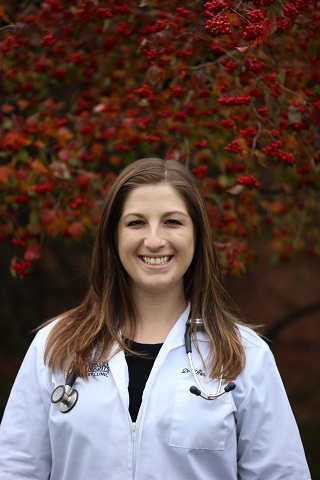 Her goal with each patient is to truly listen to the pet parent to understand their unique relationship with their four-legged family member so she can provide the tailored care they need and deserve. 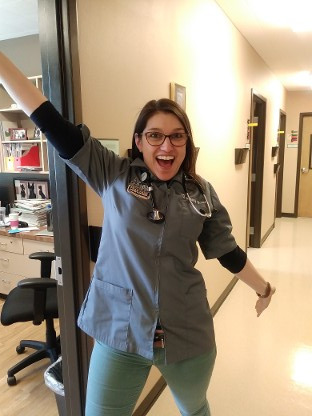 Ultimately, she feels it is her job to help pet parents and patients in her care live longer, happier, healthier lives together. Dr. Bowden is Level II Fear Free Certified and a fear free advocate for all of our patients. She enjoys implenting new techniques to help reduce fear, anxiety, and stress. She is also a member of our Fear Free Committee. Dr. Bowden's family includes her partner of three years, Ben, a college professor at Lewis Clark State College. Their two dogs Pippin and Bodhi graciously share the house with them! Bodhi is an 11 year old lab/greyhound mix who is fully blind having lost his eyes to a previous trauma. Pippin is a rascally terrier mix that was found in a trailer park in Hermiston Oregon. The four of them love to go hiking and camping together in their time off. Dr. Porter became a veterinarian because she has always had a love for animals and science. She graduated in 1981 from WSU. Her goal at every visit is to address the concerns the client has for the patient, to give a thorough exam, and take care of the patient as the owner is able to do. Dr. Porter is Fear Free Certified and is excited to help reduce fear, anxiety, and stress in our patients. Dr. Porter's family includes her husband, one grown daughter and two grown sons. She has two Labradoodles of her own and takes pride in breeding an occassional litter of Labradoodles. And of course Sherlock, her 37 year old Amazon Parrot. Dr. McCormick grew up surrounded by pets. They were always a part of her life and she loved being around them. She knew she wanted to be a vet since she was 4 years old . She loves the science and medicine and the puzzle pieces that make up disease. Dr. McCormick graduated in 2013 from WSU. Her goal with every patient is education and understanding for the client and a happy outcome for the patient. Dr. McCormick is Fear Free Certified and loves to see how the patients respond to their low-stress visits. 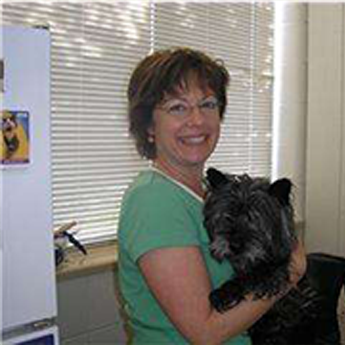 Dr. McCormick's family includes her husband, two dogs, Archie and Duke, and one cat named Mercedes. Dr. McCormick believes you should do small things that make others feel big. Oh yeah, and Hakuna Matata! !